A true fashionista who has traveled the world developing her fashion talents with fashion heavy hitters and is now in Nashville, TN. As I turned the corner of Russell Street, garbed in my sacramental red kimono that I bought back in the day while living in NY, I saw a long line of fashionable people. These folks were waiting patiently, waiting patiently...waiting to be let into the Crystal Fountain Church. 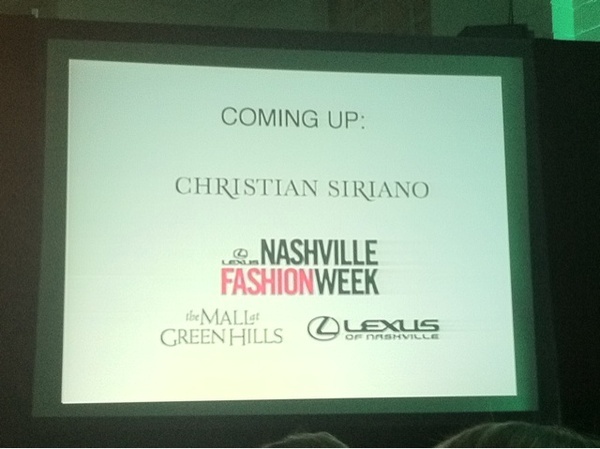 It was Thursday night of Nashville Fashion Week and the headliner for the week, Christian Siriano, was debuting his line. Aside Siriano were four other featured designers (Olia Zavozina, White Rabbit, Cooper by Courtney Warren, & Union of Angels). 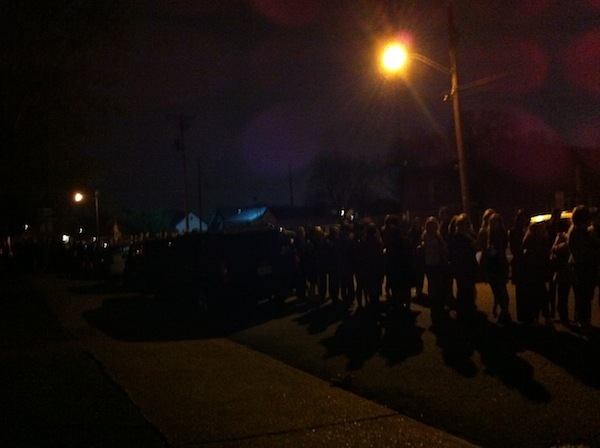 After people watching for a bit, the lines began to move and quickly the church filled with anxious onlookers and press. The pews were completely filled, the lighting was perfect and large screens were placed on both sides of the front steps. These screens served to introduce each designer before the shows started. 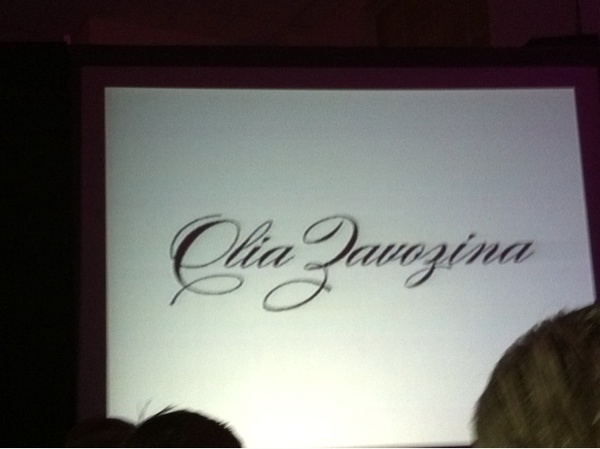 The first show started with designer Olia Zavozina. Her bridal gowns were illuminating and her new mini dresses were stunning in natural tones with deep back cuts. She also showed a new menswear line. This was refreshing considering the rest of the evening featured all womens clothing. 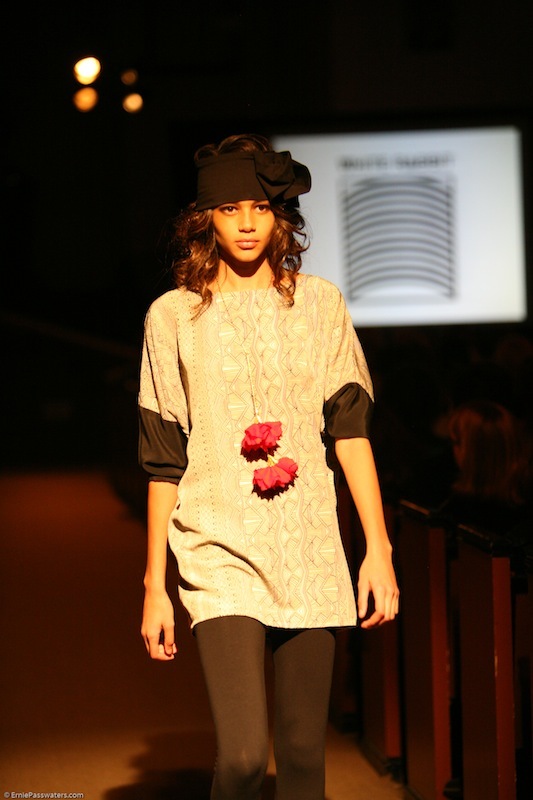 The next designer's line was titled "Cooper" by Courtney Warren and was presented by Posh Boutique. Her youthful line was filled with both color blocked dresses and pretty florals. The shoes, bags, and jewelry being shown during this collection were amazing and really helped to complete each look. Next came one of my favorites of the evening. This line was called "White Rabbit" and was designed by Nashville local Shea Steele. Her creative looks were high fash friendly. The statement they made was both bold and friendly. Her personality seeped through her line and she even came out for an interview after the show. 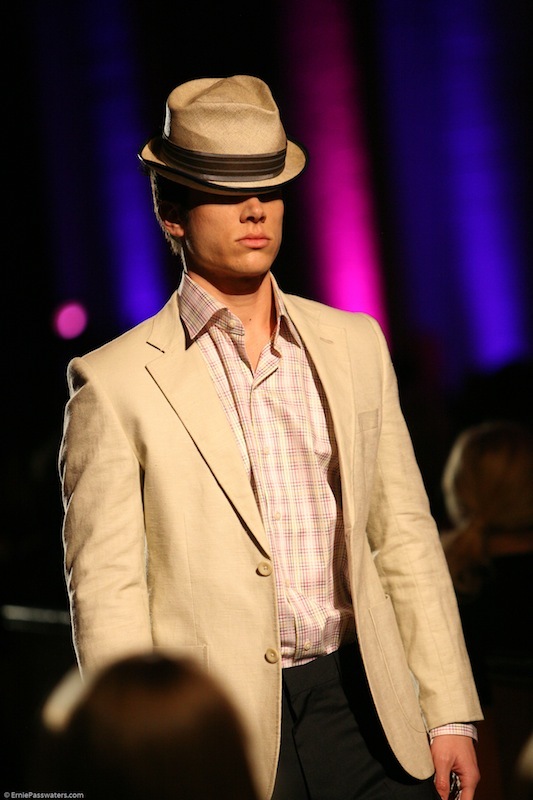 (NashvilleFashionEvents.com will be releasing the interview with Shea Steele soon. Stay tuned!) This accessability made her even more intriguing by showing her real passion and excitement for her remarkable work. 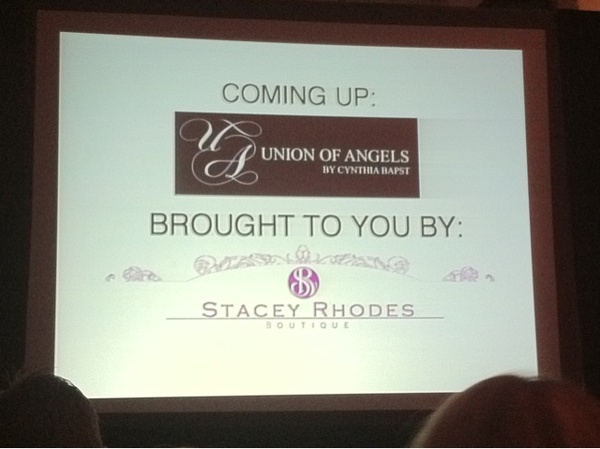 Following "White Rabbit" was a line titled "Union of Angels" designed by Cynthia Bapst and was presented by Stacey Rhodes Boutique. 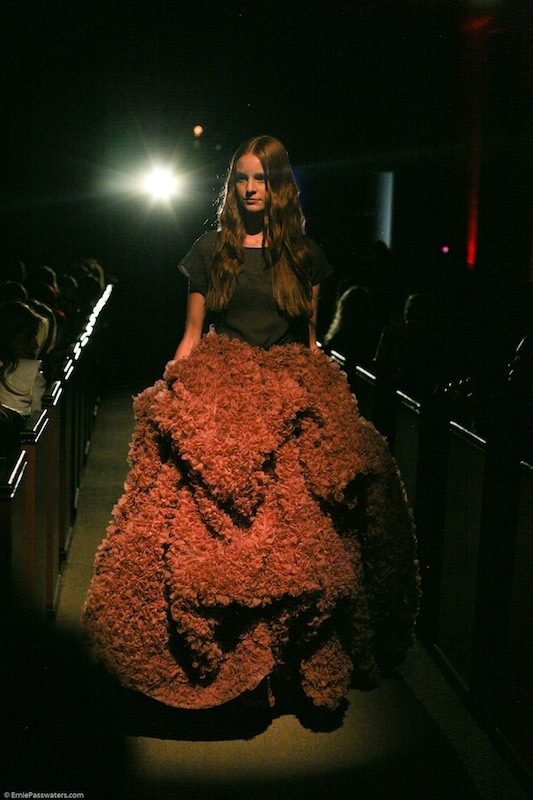 This practical yet fashionable line presented a much more everyday kind of look. Bapst's line is popular in St. Barth. She works with local Nashville record labels and dresses talent for both these labels and a new tv series. These factors show that that she is well on her way! One of my favorites shown from this line was a gorgeous long shawl/cape. It was made of pale toned leather and had fringe all along the trim. This item was very classy and chic. 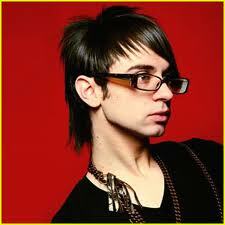 The evening was capped off by internationally known designer Christian Siriano. At only 25 he has already shown six collections at NY fashion week, designed for numerous celebrities and was the winner of Project Runway season four. Siriano's high fashion couture looks were created with numerous fabrics and textures. The layering of fabric and quality was unprecedented with both long and short dresses. His complex designs were featured mostly in black with a touch of dark grey, dark army green, and blush for colors and shades. Many of these peices were created with draping, in an almost Grecian style complimented in dark surreal colors. The hair and makeup were very natural and was in bold contrast to his statement making garments. One of my favorite looks of his was a simple dark green untraditional t-shirt with a huge elaborate full detailed skirt. This may have been one peice turning it into an unusual dress. The garment was not something you would normally see out on the town but the colors and fabrics he used were remarkably awe inspiring with an artistic flair. The music and lighting throughout the show were very well done. 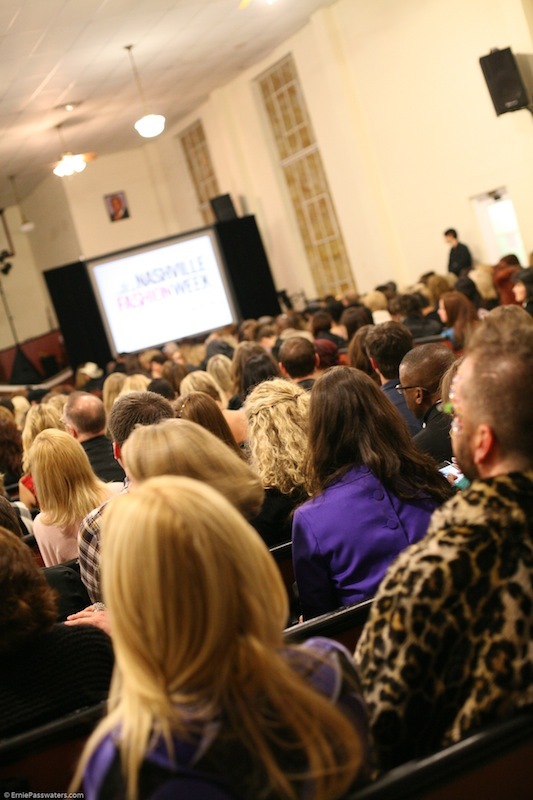 After living in NY and working in fashion I am so excited about Nashville's new found place in the fashion industry. 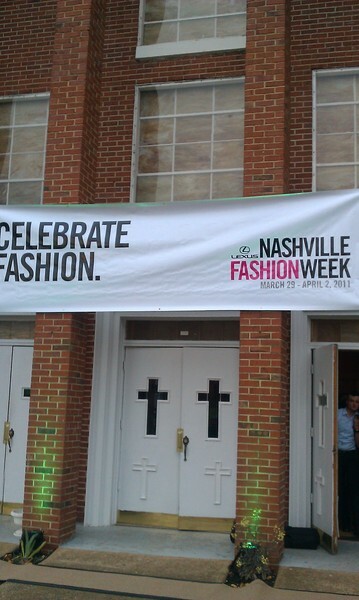 I thoroughly enjoyed all of the events associated with Nashville Fashion Week and I must say that I was fashionably born again through this church experience that I will never forget.